Although most of the information in the replacement windows pages of this website refers to PVCu windows, we will also briefly cover hardwood windows, aluminium windows and secondary glazing. 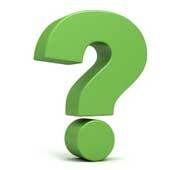 And for those who are interested, we will answer the question – what is PVCu? 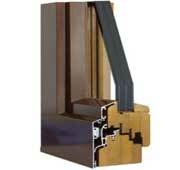 and look at the many different types of PVCu profiles which exist for windows and doors. 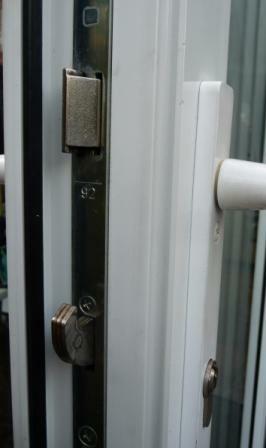 So if you are looking for a window quote or a door quote you’ve come to the right place. If you are looking for a quotation for hardwood replacement windows, good quality hardwood is generally the most expensive product used to manufacture replacement windows and doors but it is also considered by some to offer the best in terms of appearance. The availability of some poor quality hardwood has not helped this argument in recent years however, and although many traditionalists would never contemplate anything other than hardwood replacement windows and doors, PVCu has many advantages, not least cost and ease of maintenance. Softwood replacement windows and doors are inevitably the least expensive but have a much shorter life span than other product options, need regular painting and maintenance, and are generally not as energy efficient. If you are looking for an aluminium window quote, then you need to know that aluminium replacement windows are also expensive, partly due to the fact that they are normally fitted within hardwood sub-frames, and they are not usually as energy efficient as PVCu can be. Aluminium replacement windows are generally more appropriate for commercial installations such as shop fronts and other business premises than for use in residential properties. 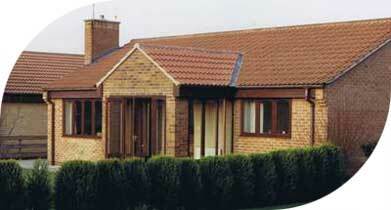 Most homeowners consider PVCu replacement windows and it is the product of choice for most residential customers. 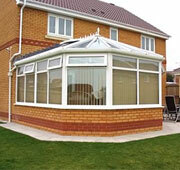 For that reason we will concentrate on PVCu replacement windows and doors throughout the most of this web site. PVCu replacement windows don’t just have to be white though – there is a range of different woodgrain finishes available including mahogany, rosewood and light oak effects. In fact in recent years, even coloured replacement windows such as red, blue, green, cream and black have become available. 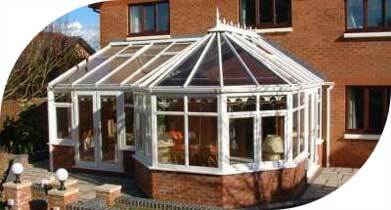 Add to that the ever expanding range of decorative glass features such as Georgian bar, Astragal bar, coloured lead patterns and bevelled glass and there are millions of PVCu replacement windows combinations to suit your home. Casement replacement windows are the most popular type of window installed in UK homes and are generally fitted with one or more vents (or casements) which open outwards, being hinged either from the side or from the top on stainless steel friction stay hinges. 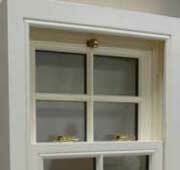 Opening casements are usually combined together with fixed panes – all within the same window frame. 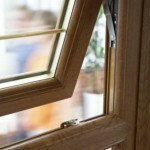 As the name suggests tilt and turn replacement windows, which open into the room, can either be tilted inwards or swung (turned) inwards on the hinges, by operating the handle in a different way. 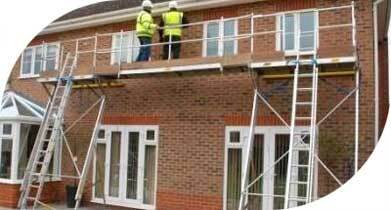 Whilst providing an excellent fire escape, they also allow you to clean the outside of the windows from inside. 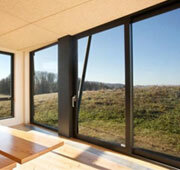 Tilt and turn replacement windows originate from mainland Europe where they were used in high rise apartments. Sliding sash replacement windows replicate the traditional vertical sliding wooden windows often seen in Victorian style properties and are probably the most expensive of all PVCu windows. 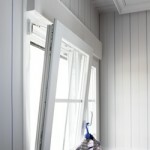 A tilt facility can also be incorporated, enabling you to clean the window from inside. Original timber sliding sash windows would have had box sashes which contained the weights and pullies and though today’s PVCu replacements can be fitted with modern versions of that system, they tend to operate on spiral balances instead. Bay windows are built by fixing more than one window frame together, usually with reinforced connecting bay poles between them. The replacement windows sit on a welded external sill which follows the shape of the supporting brickwork below and the space created by the curved or rectangular shape of the bay is part of the internal room. 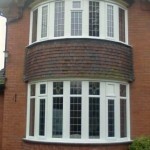 Traditional Victorian bay windows tended to be in five sections but here we show one with seven separate frames. 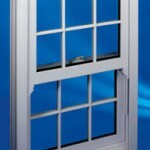 Square bay windows can also be constructed but these have square corner posts rather than round bay poles to connect the frames together. A bow window, or plant-on bow as it is properly referred to, also consists of more than one window frame and projects beyond the external brickwork without being supported by it. 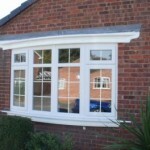 A bow window generally provides a deep internal window sill whereas a bay window does not. It is sometimes possible to convert a flat window to a bow window but this will require the construction of a base and roof which can make it an expensive option. Security systems on PVCu replacement windows and doors have progressed from externally beaded frames with little reinforcement and cockspur handles to internally beaded profiles, full steel or aluminium reinforcement and shoot bolt locking systems. The insulation qualities of the latest ‘A’ rated replacement windows could never have been imagined back in the 1960’s when double glazing in aluminium frames was introduced to the United Kingdom. There are even PVCu replacement windows available which replicate traditional timber sliding sashes, with spiral balances in place of weights and pulleys but with the modern advantages of excellent insulation and security built-in. Just a Quote will introduce you to up to four qualified and experienced installation companies who will carry out a detailed survey and provide a free quotation. During the survey they will listen to your requirements, show you sample products or brochures and discuss the many options which are available. There are fewer industries that have been criticised in the way that the replacement window and door industry has been in the United Kingdom. The stereotypical ‘double glazing salesman’ is disliked and ridiculed along with tax inspectors and second hand car salesmen, and sometimes for very good reason. Most home owners have heard stories of dubious sales techniques; false discounts, poor quality installations and non-existent after-sales service. And the statistics don’t help either. There are approximately 17,500 replacement windows, doors and conservatory installation companies in the United Kingdom and they carry out over two million separate replacement windows installations every year. In the year to March 2011 Consumer Direct received approximately 85,000 complaints regarding home improvements, with approximately 15,000 of those specifically about replacement windows, doors and conservatories. 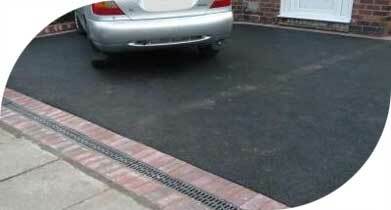 There are however, some excellent, well-designed products available which are diligently installed by experienced craftsmen who take pride in their work and who are employed by companies which genuinely do care for their customers. Major advancements have been made in the technology and design of new products over the past few decades which have resulted in a much better offering for customers. Alongside this, regulations governing the standards which good quality windows and doors should meet have been strengthened and policed to help improve the industry generally. PVCu products which are designed to resemble real timber are much more realistic and durable than the early versions which not only looked false, but faded badly in sunlight. Equally, composite windows and doors, which are now available in a wide range of colours and wood grain effects, mean that the days of any colour you want as long as it’s white are long gone. 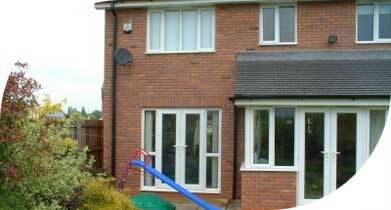 In fact you can even change the colour of your existing white PVCu windows.